There is nothing that my children find more amusing than a bit of toilet humour. 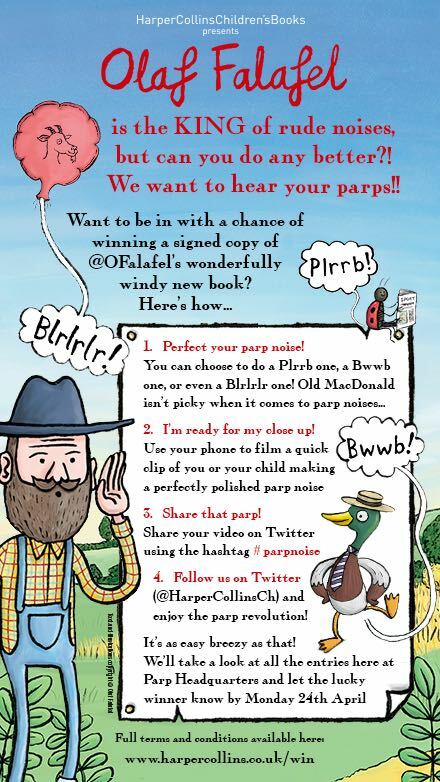 That’s why I knew, even before the review copy of Old MacDonald Heard a Parp by Olaf Falafel came that they would love it. 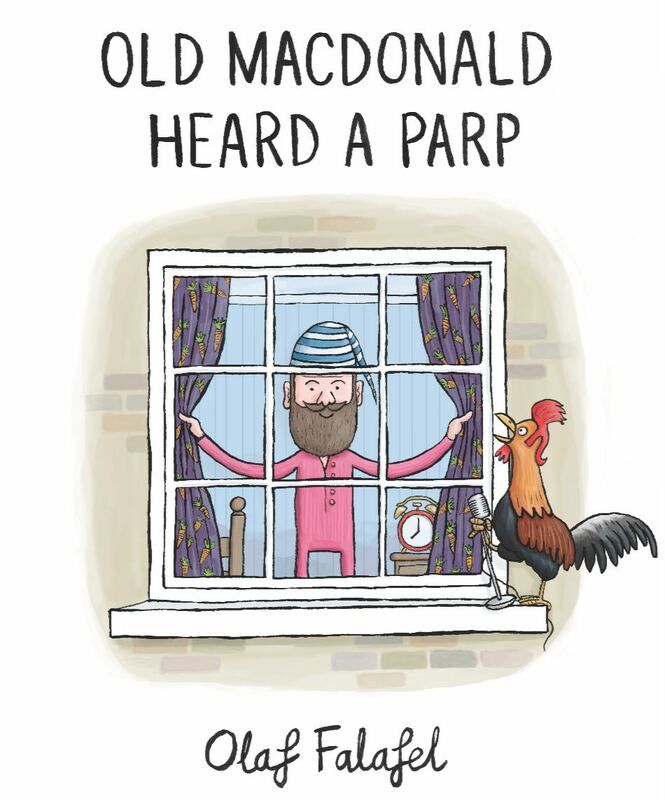 Old MacDonald Heard a Parp is a reimagined take on the classic nursery rhyme, except in this version Old MacDonald thinks the parps are coming from all the animals. 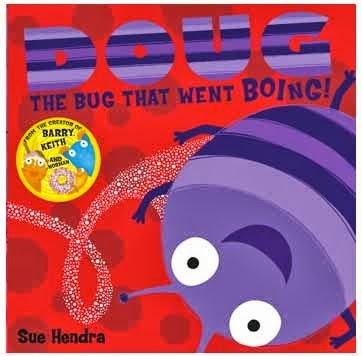 This is a fab book for getting the children to join in with you and for having an innocent laugh with them. 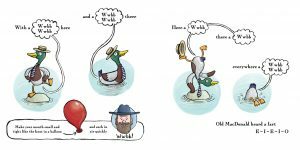 I often find that my children find a lot of books quite intense and it takes a very special book for them to join in and become quite animated. 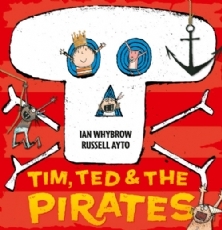 This book is one of them and the five year old in particular loves it. 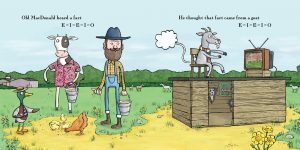 In fact, he repeats the rhyme at every possibility. Now, I say the five year old loves it, but to be honest this doesn’t convey just how much he loves it. There is a downside, he is quite cheeky and I’m blaming this book for his latest little practical joke which involves phoning people up and blowing raspberries down the phone at them. I suspect this was comedian Olaf Falafel’s intention. It has made us all laugh and we are planning on reminding him of this when he’s older. 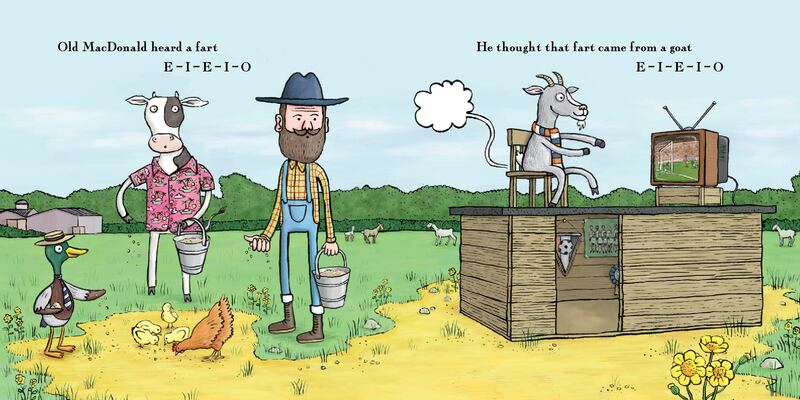 We have all enjoyed this book, the illustrations are great, and there is a handy guide to making the noises. However, most of all though, it has made us all laugh and rediscover a bit of family fun at a time when we really have needed to do this. Thanks Olaf! 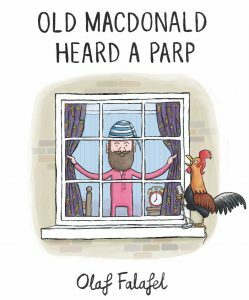 If you’ve got kids in the 4- 8 year old age range or just fancy a good old laugh then this is the perfect picture book for you. A book was the first thing I bought for my future child when we first started trying. Sad I know. But your post made me smile and want to run off and buy this for my rapidly expanding bump (and when I say bump I of course mean me really).